Pardalotus punctatus Shaw, 1792, New Holland (Australia). Three subspecies. 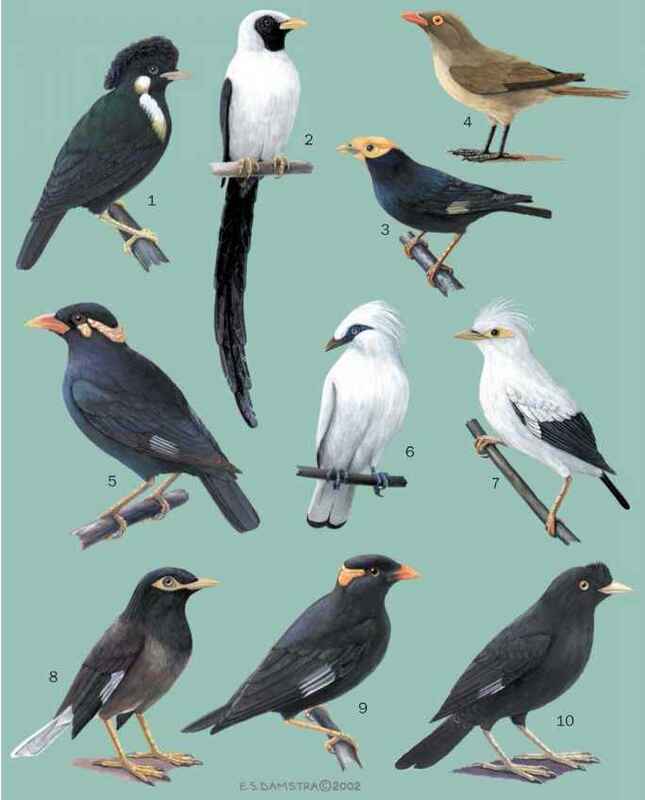 English: Diamond bird; bank diamond; French: Pardalote pointillé German: Fleckenpanthervogel; Spanish: Pardalote Moetado. 3.5 in (9 cm); 0.32 oz (9g). Sexually dimorphic in plumage: males have yellow throats and breast. Queensland; P. p. xanthopygae: mallee and mulga areas of Victoria to Western Australia. Eucalypt forests and woodlands, residential parks and gardens. P. p. xanthopygae mostly in mallee and mulga woodlands. Territorial during breeding season, but forms flocks of a dozen birds or more in winter, and may join mixed species foraging flocks. Two- or three-note call. Gleans twigs and foliage for scale insects, and a wide variety of other invertebrates. Nest is of plant fibers about 19.7 in (50 cm) in tunnel burrowed into earthen bank or flat ground, often near a creek. The usual clutch is three to five white eggs incubated by both parents; hatching is in 14-16 days, fledging in about a month. Not threatened, but habitat alteration is a potential threat.